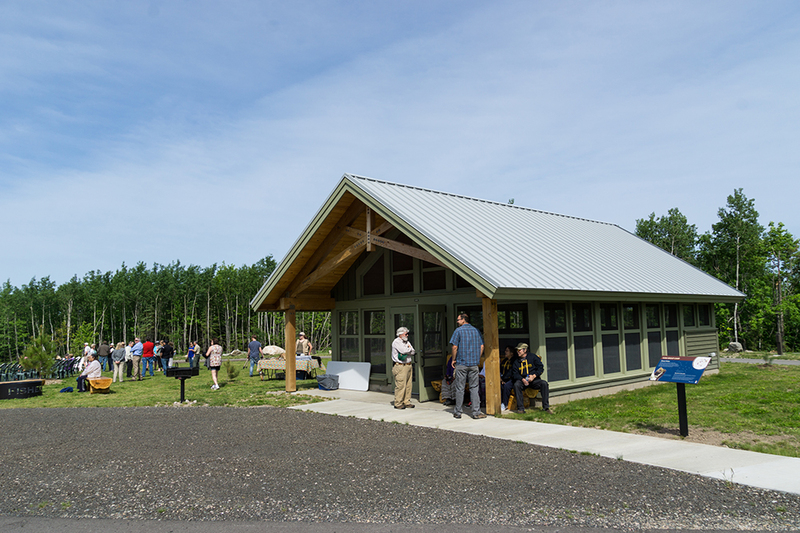 On a pleasant June 7, 2018, a crowd had gathered at the new Ojiig group camp area for the official opening of the Vermilion Ridge Campground at Lake Vermilion-Soudan Underground Mine State Park near Soudan, MN. The ribbon cutting was preceded by a drum circle and blessing ceremony by members of the Bois Forte Band of Chippewa. Erika Rivers, director of State Parks and Trails, introduced the two main speakers, DNR Commissioner Tom Landwehr and Sen. Tom Bakk (DFL-Cook). 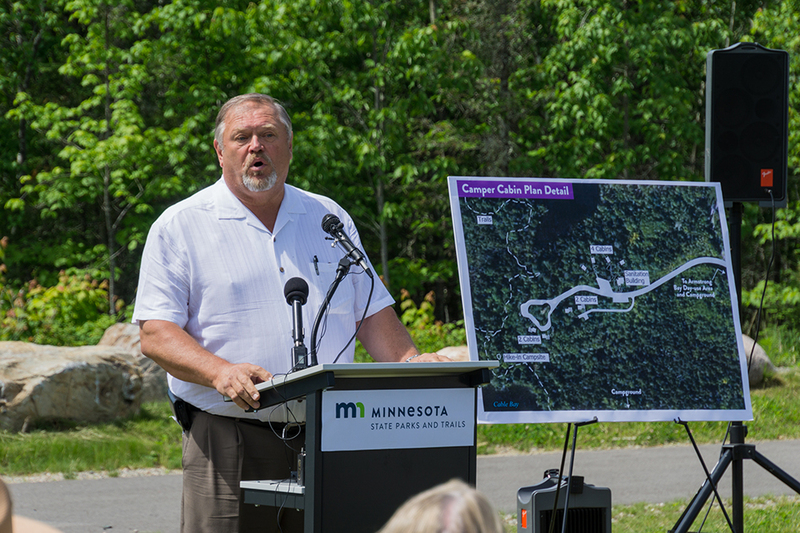 Landwehr called Lake Vermilion-Soudan Underground Mine State Park a “next generation” park, the DNR’s vision of the future of Minnesota State Parks. 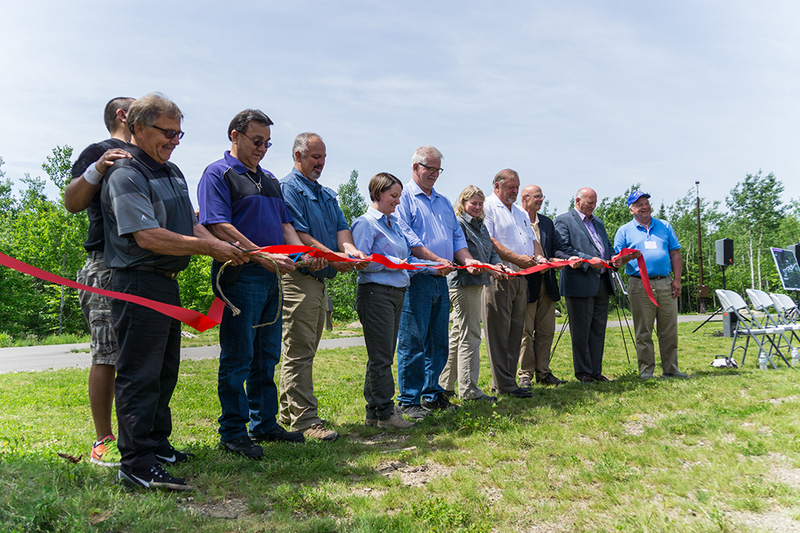 It encompasses lots of new technology the DNR hopes will make state parks more energy-efficient, affordable to operate and offer services for a new generation of parks users. Accessibility in this new kind of park, Landwehr said, is built into the design from the beginning. 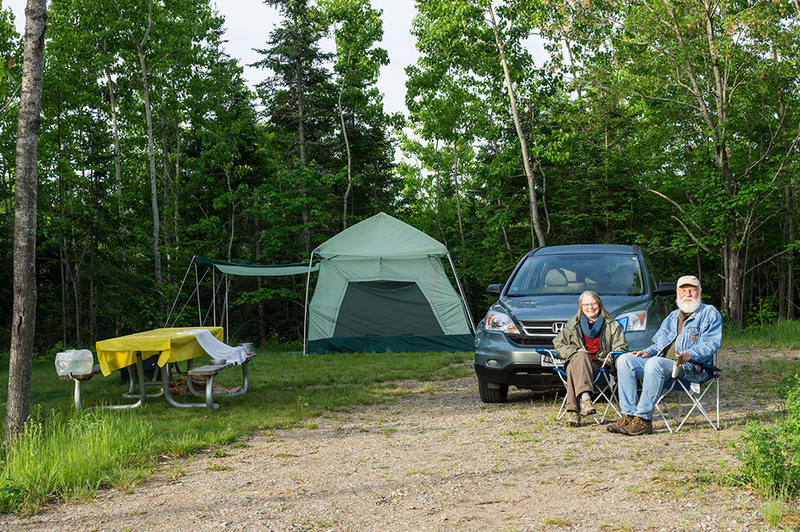 The use of solar power, on-demand water heaters, low-consumption fixtures and LED lighting are some of the features used to conserve resources at the park. A new kind of wayfinding signage, electronic pay stations and improved wi-fi coverage will add convenience to the user experience. Another new feature of this park is the absence of a contact station to save on staffing costs. This new flagship park he said will be “One of those places you have to get on a waiting list to get in,” estimating an annual visitor count of about 400,000 once the park is officially completed. Bakk gave a brief history of the purchase of the park land from US Steel Corporation and the entities involved in seeing the project through. He talked about his own connection to Lake Vermilion, growing up exploring the lake by boat and the importance of the historic Soudan Underground Mine in Minnesota and world history. He said the reason for his support of the project was his fear that, if sold to a private developer, the character of Lake Vermilion would be changed forever and lost to the public to enjoy. He said the continued development of Lake Vermilion-Soudan Underground Mine State Park is one of his tasks for upcoming legislative sessions. 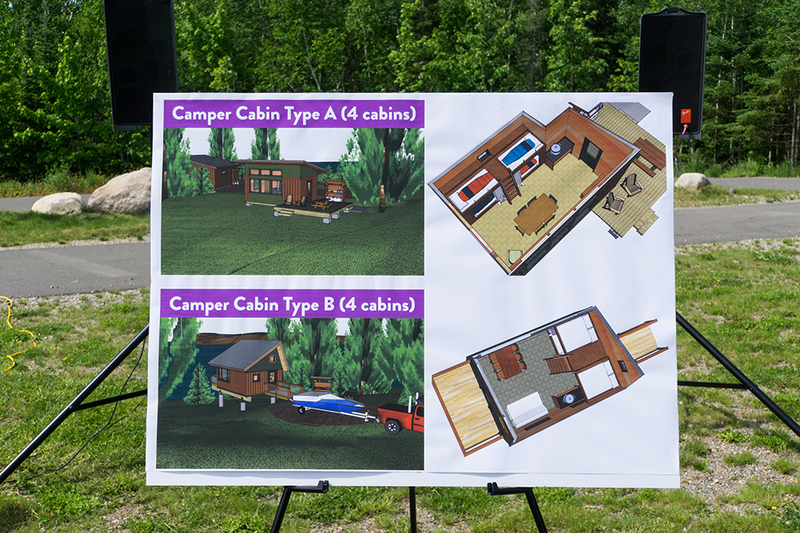 Future projects include the addition of a visitor center, lakeside camper cabins and additional hiking trails. “This is the beginning of the development of a multi-use park that is going to be second to none in the Midwest,” he said. In nearby town of Tower, a celebration organized by the Lake Vermilion Chamber of Commerce to welcome the new park was underway and Main Street was lined with booths with people visiting local businesses. At an information stand run by Club Mesabi, the promotional organization for the Mesabi Trail, director Ardy Nurmi-Wilberg said the Mesabi Trail’s latest segment between Soudan and the state park has local businesses seeing an uptick in visitors. “The people of Tower and Soudan are so excited about the trail, and when we finally get this section connected to the rest of the trail, it’ll be big for them,” she said. 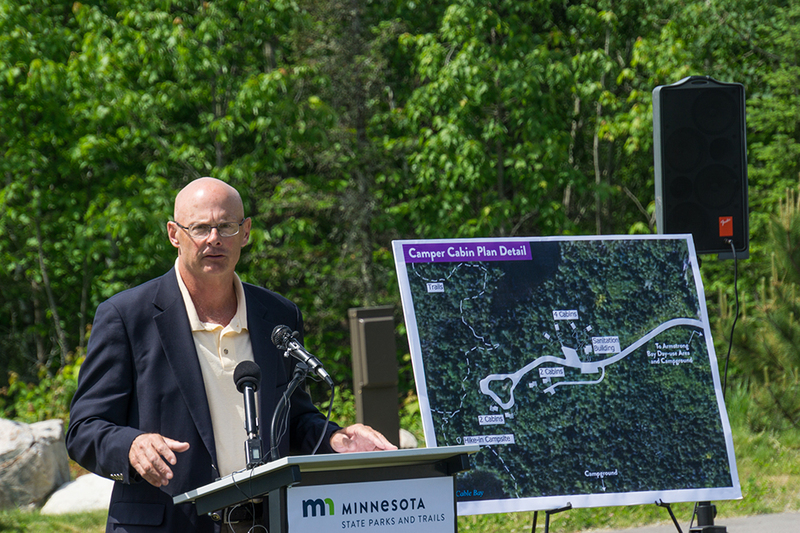 Nurmi-Wilberg hopes the135-mile Mesabi Trail between Grand Rapids and Ely will be completed in three to five years. 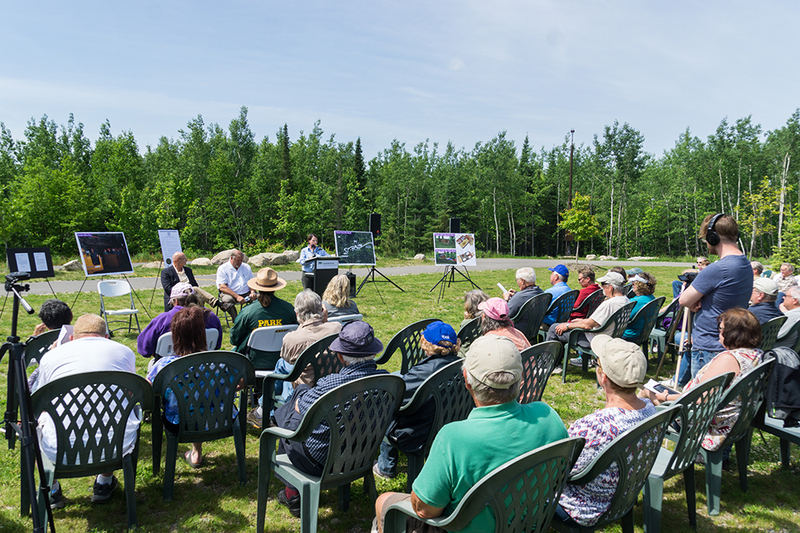 In 2014 Parks & Trails Council helped to save a key island for Lake Vermilion State Park. The island, while small is visible from 60 percent of the park’s shoreline. Saving this island ensured that view from the main part of the park would be preserved and highlights the iconic pine-tree filled island landscape that has made this lake famous.